Our family doesn’t have Easter traditions past what happens on Sunday morning. Back in the day, Mauri’s kids colored eggs and did the hunt thing. 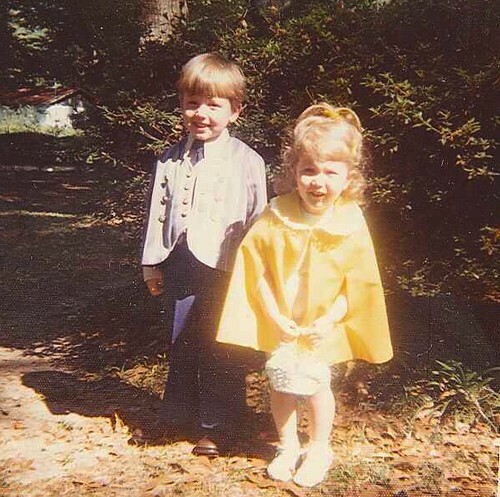 My kids colored eggs too, and when they were little I would make them new clothes. 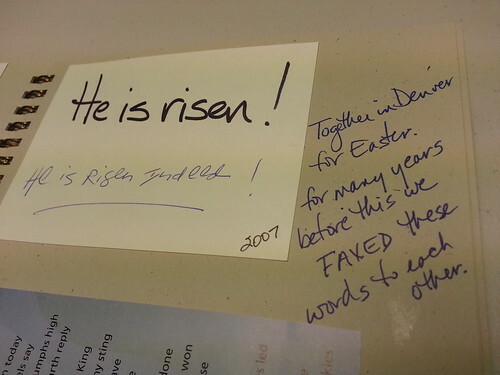 I can’t remember how far back Quinn and/or I started the tradition of faxing each other on Easter morning. We’ve never missed a year, though the mode has adapted with the times. We eventually had to give up our fax machines, having kept them longer than needed for that one purpose, and started using e-mail to exchange that important message. 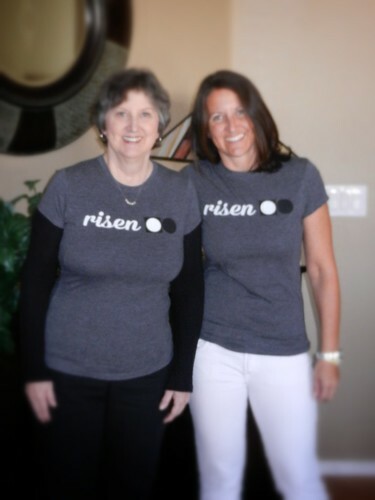 We aren’t together today (like the pictures might imply), but we Facebooked as well as wore our matching shirts to worship. Aren’t they wonderful? 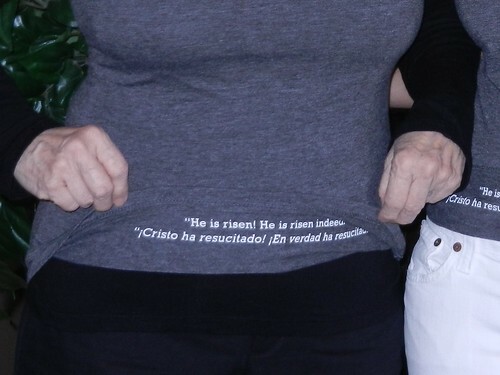 Love the simple design and the turn-up front with Spanish translation! Here’s a little plug for the designer, our friend Matt Lu of Short and Savage. Check out other designs here. 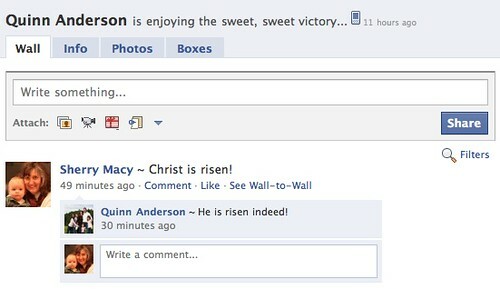 3 Responses to he is risen! Ha! I saw the letters peeking out while you were singing this morning but didn’t get a chance to inquire as to the rest of the story. Thanks for solving the mystery. You have great traditions and its super fun to watch them adapt with the times. Happy Easter! What a fantastic day to Praise Our Lord and Saviour! We had a great church service as well. Love your shirts!